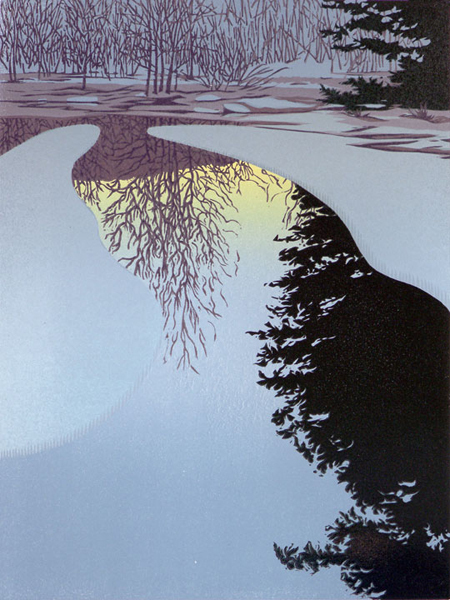 The gallery introduces William Hays' multilayered linocut prints to the collection. These originalrenderings of Southern Vermont landscapes and townscapes take a sense of place to a visionary level, allowing the experience of a moment infused with light, inviting us to look deeply, appreciate, and above all - conserve. The prizewinning prints, and many more, are available for sale at the gallery. William is displaying a large collection of framed prints at the gallery, too numerous to show here. Prices range from $295 to $325 for the framed prints. Please enquire to see other photographs of William's work.